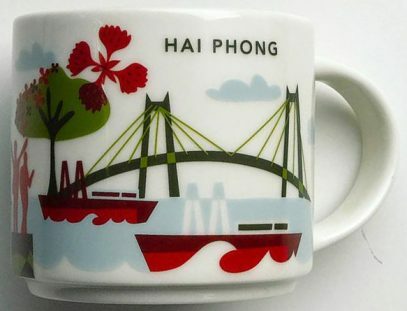 Little bit unexpected, yet pleasant surprise from Vietnam – Starbucks You Are Here Hai Phong mug. Love it’s colors! It almost made me want to collect all five Vietnamese YAHs. 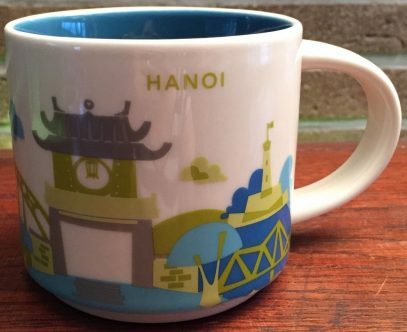 Interesting enough, according to Starbucks Vietnam Facebook page, you can only buy this mug at Starbucks Tran Phu, 15A Tran Phu street, Hai Phong city, but I am pretty sure in a month or two it will appear in all major airports of the country. This is an unexpected release from Starbucks. 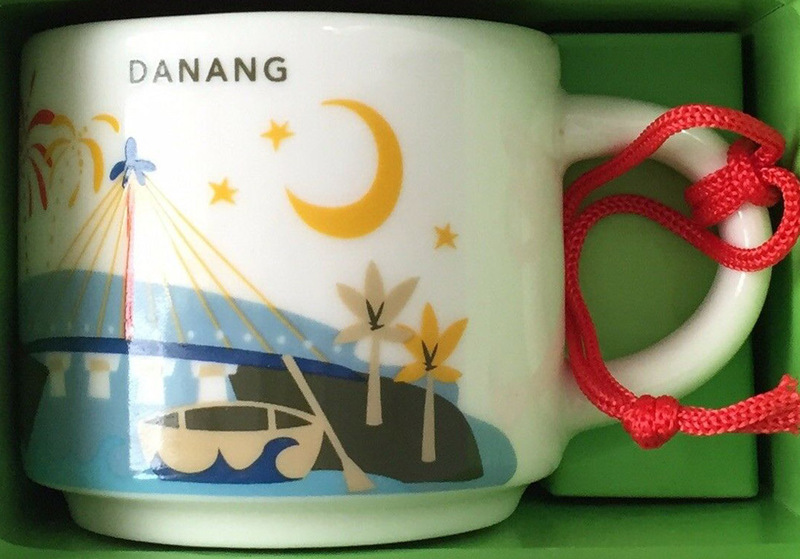 Yes, we did anticipate the YAH mug for the newly opened Da Nang store, but there were no rumors about ornament! So here it is, You Are Here Ornament Da Nang. Again, a very low quality photo from the store’s shelf. Let’s see what it looks like in real. I am planning to get one for sure! 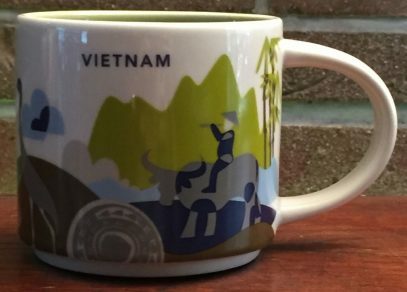 Even though the quality of the photo is very bad, I am excited to announce the release of You Are Here Da Nang mug. It had been rumored last December, but there was no real photo of it! 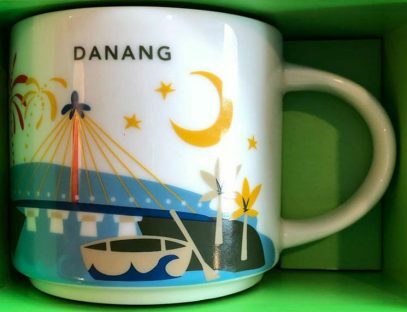 Today, Starbucks has opened a store in Da Nang and we can see new mugs on the shelf. Let’s wait for better pics in order to identify what design elements were used for the new release. 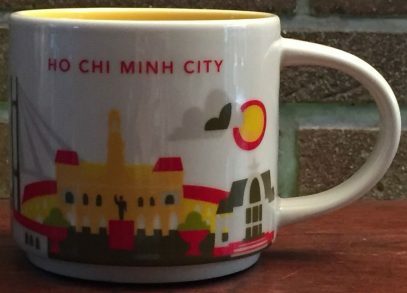 This Icon mug came from Ho Chi Minh City, Vietnam. Light Green is used as its theme color. Cyclo can be seen on the front of the mug and B?n Thành Market on the back.